Serena Williams is forced to turn back as she walks on to court while her opponent, Simona Halep, is being announced to the crowd before their fourth-round match at the Australian Open. Serena Williams outlines why she is the favourite to win the Australian Open with a 6-1 4-6 6-4 win over world number one Simona Halep in a high-quality last-16 match. Serena Williams admits having seen Disney classics Frozen and Beauty and the Beast “thousands” of times with her daughter Alexis Olympia. World number one Novak Djokovic reached the Australian Open quarter-finals for the first time since 2016 with a hard-fought win over Daniil Medvedev. The 31-year-old Serb earned a 6-4 6-7 (5-7) 6-2 6-3 victory over the 15th seed in Melbourne. Djokovic was not at his fluent best, but outlasted Medvedev to win in three hours and 15 minutes. Russia’s Medvedev, 22, grew frustrated as he paid the price for only taking two of nine break points. Medvedev’s resistance continued until the end, saving two match points before Djokovic took the third with a wonderful cross-court winner. Six-time champion Djokovic will play Kei Nishikori in the last eight after the Japanese eighth seed beat Spain’s Pablo Carreno Busta in controversial circumstances in a five-hour match decided by a super tie-break. Another triumph for the top seed at Melbourne Park will see him move ahead of Australian great Roy Emerson and Roger Federer, who was knocked out by Greek youngster Stefanos Tsitsipas on Sunday, in terms of all-time victories. Djokovic’s progress to the last 16 had been relatively serene, apart from a third-set blip which came against the run of play in his previous win over Canadian teenager Denis Shapovalov. But the powerful Medvedev, one of the rising stars and in good form having reached the final at the Brisbane International coming into the tournament, was expected to provide a sterner test. It was a test of durability as the pair pushed each other in some long, physical rallies – including two which lasted more than 40 shots. In stuffy conditions on Rod Laver Arena, both players struggled physically at times with Medvedev appearing to tire first in the third set. Although there was a suspicion Medvedev was putting up little fight to preserve energy for a push in the fourth, it proved to be the key to Djokovic’s victory as he maintained the momentum that had swung his way. “It was definitely a physical battle,” Djokovic said. “It is difficult to go through him and I had to find another way to go through him. Lucas Pouille recovered from a set down to reach his third Grand Slam quarter-final on Monday, beating Borna Coric 6-7(4), 6-4, 7-5, 7-6(2) at the Australian Open. The 28th seed, who also advanced to the last eight at Wimbledon and the US Open in 2016, landed 57 winners and won 66 per cent of second-serve return points (23/35) to advance after three hours and 15 minutes. Pouille becomes the 13th Frenchman to reach the Australian Open quarter-finals in the Open Era and the first since Jo-Wilfried Tsonga in 2017. With his 25th Grand Slam victory (25-19), Pouille improves to 4-7 against Top 20 opposition at Grand Slam events. The 24-year-old will look to add a fifth victory to that record when he meets 2016 semi-finalist Milos Raonic in the quarter-finals. Pouille is yet to win a set against Raonic in three FedEx ATP Head2Head meetings. Last year, Pouille reached a career-high No. 10 in the ATP Rankings shortly after advancing to his third tour-level final in four weeks at the Dubai Duty Free Tennis Championships (l. to Bautista Agut) in February. But Pouille struggled for form throughout the remainder of the season, before taking the decision to hire Amelie Mauresmo as his new coach. 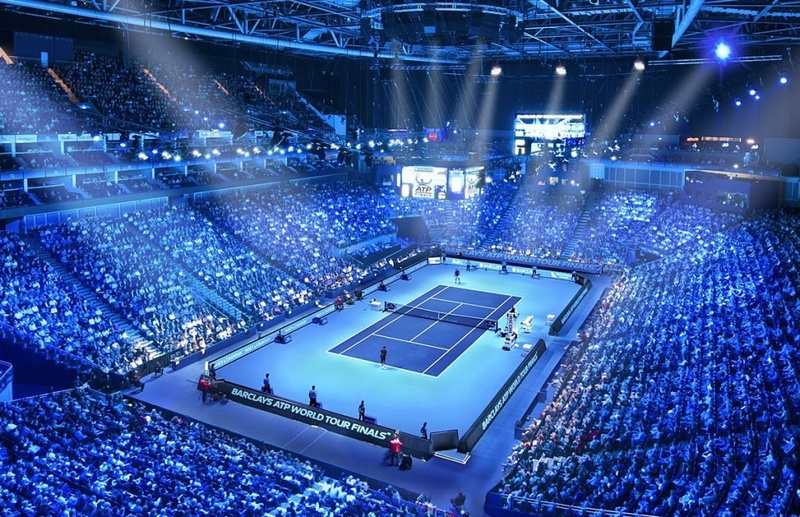 Having now earned four consecutive tour-level victories for the first time since his appearance in Dubai last year, that decision could prove to be the catalyst for a rise up the ATP Rankings during the 2019 ATP Tour season. After trading breaks in the opening four games of the match, both men held serve with relative ease to reach a first-set tie-break. From 4/4, Pouille clipped the tape on back-to-back points to hand Coric two set points, but the Croatian needed just one, sliding his ninth ace of the match out wide to take a one-set lead. But Pouille earned the only break of the second set to level the match. The Frenchman ripped a forehand return winner to open the seventh game and charged to net to gain a 0/30 lead, before Coric gifted Pouille the break with his fourth double fault of the match and a misplaced forehand. A second tie-break appeared likely with both players holding serve through the first 10 games of the third set, but Coric once again found himself 0/40 down on serve and, despite saving the first two break points, Coric could not stop Pouille from converting the third with a forehand winner. Pouille rode the momentum with an immediate break of serve in the opening game of the fourth set, and, despite conceding his break advantage for 4-4, the Frenchman clinched the win on his first match point as Coric fired his 55th unforced error of the match. Coric was bidding to become just the seventh Croatian to reach a Grand Slam quarter-final. 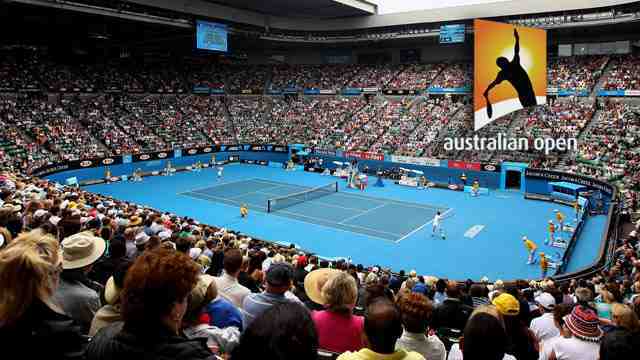 Goran Ivanisevic, Goran Prpic, Ivan Ljubicic and Marin Cilic are the only to have achieved the feat at Melbourne Park. Britain’s Jamie Murray and Brazilian partner Bruno Soares booked their place in the men’s doubles quarter-finals at the Australian Open. The third seeds beat German Kevin Krawietz and Croat Nikola Mektic 6-7 6-2 7-5 after saving three match points in the deciding set. After losing the first set, they responded with two breaks in the second and another at the end of the third. The pair face Finn Henri Kontinen and Australian John Peers next. 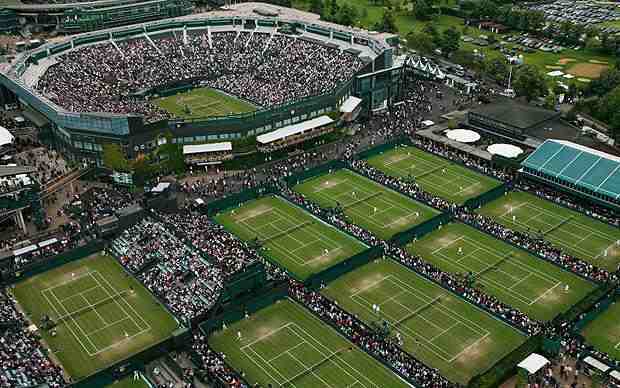 Briton Joe Salisbury and American partner Rajeev Ram were beaten 4-6 7-6 (7-5) 6-4 by French Open champions Nicolas Mahut and Pierre-Hugues Herbert, both of France, in their third-round match. And in the mixed doubles, Britain’s Neal Skupski and Spanish partner Maria Jose Martinez Sanchez beat Australian pair Jessica Moore and Andrew Withington 6-4 6-1 to reach the third round. If this is the new and improved Milos Raonic,the rest of the ATP Tour better take notice in 2019. Raonic produced a glittering performance on Rod Laver Arena on Monday afternoon, efficiently dismissing Alexander Zverev 6-1, 6-1, 7-6(5) in a tidy one hour and 59 minutes. The Canadian booked his spot in the Australian Open quarter-finals for the fourth time in five years. He will await either Borna Coric or Lucas Pouille next. For the first hour and three minutes, Raonic could do no wrong. He broke a rattled Zverev four times in a row to surge to a 6-1, 6-1 lead. The German claimed the initial advantage with a break in the opening game of the match, but it was one-way traffic from there for the Canadian. One of Raonic’s 15 aces sealed the first set and a return winner gave him the second. Zverev started to find his rhythm in the third set, but it was too late. He saved two match points at 4-5 15/40 and one more at 4/6 in the ensuring tie-break, but Raonic would eventually clinch the victory with a volley winner on his fourth opportunity. Raonic now owns a 2-1 lead in their FedEx ATP Head2Head series, having also prevailed in the Round of 16 at Wimbledon in 2017. Zverev’s lone win came at the Internazionali BNL d’Italia in Rome earlier that year. Raonic has enjoyed great success this fortnight against tricky competition. After defeating Nick Kyrgios in straight sets, he proceeded to rally past former champion Stan Wawrinka and edge Pierre-Hugues Herbert, before routing World No. 4 Zverev. It was Raonic’s first Top 5 win since last year’s Mutua Madrid Open, when he ousted Grigor Dimitrov in the first round. Sixth seed Elina Svitolina beat former US Open finalist Madison Keys in a pulsating fourth-round match at the Australian Open. The Ukrainian broke twice to take the first set but Keys won five games in a row and hit 16 winners as she went on to dominate the second. Svitolina then held off five break points in a 16-minute game in the third set to win 6-2 1-6 6-1. She will face Japanese Naomi Osaka or Latvian Anastasija Sevastova next. Former World No. 1 and two-time Grand Slam singles titlist Yevgeny Kafelnikov will soon be able to call himself a “Hall of Famer”. 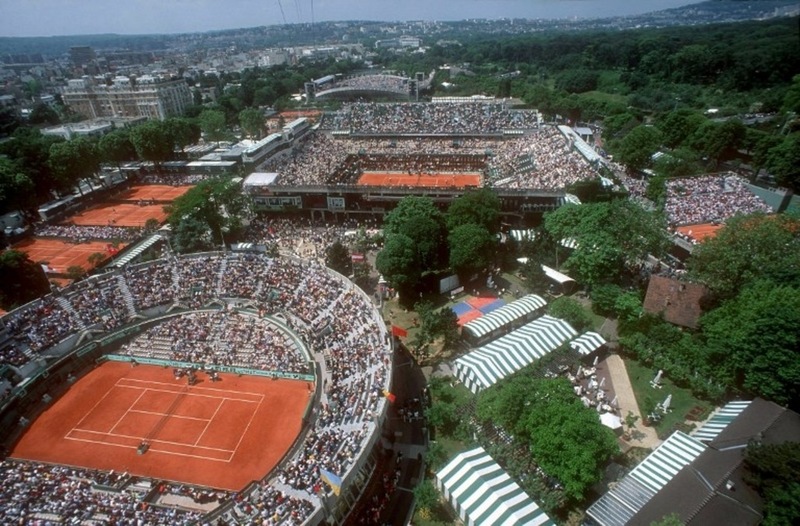 The Sochi native captured his first major singles title in 1996 at Roland Garros. That same event, he partnered with Daniel Vacek to win the doubles title. No man since has won the singles and doubles titles at the same major. Kafelnikov was also the singles champion at the 1999 Australian Open, and he won four Grand Slam doubles titles – three at Roland Garros and one at the US Open. In all, Kafelnikov won 26 tour-level singles titles and 27 tour-level doubles titles. The Russian complemented his No. 1 ATP Ranking in singles with a doubles career-high of No. 4. Kafelnikov is also an Olympic gold medalist, having won at the 2000 Games in Sydney, and he was integral to Russia’s 2002 Davis Cup title. He will be inducted alongside former WTA greats Li Na of China and France’s Mary Pierce. The three are being inducted in the Player Category. This is not a year of eligibility for the Hall of Fame’s other two categories – Contributor and Wheelchair. The three former players will join an elite group of just over 250 individuals hailing from 23 nations who have received the honour, which recognizes their career as being among the most accomplished and impactful in the history of tennis. Li Na, Pierce, and Kafelnikov will be officially inducted into the International Tennis Hall of Fame on 20 July, during Hall of Fame Weekend in Newport, Rhode Island. 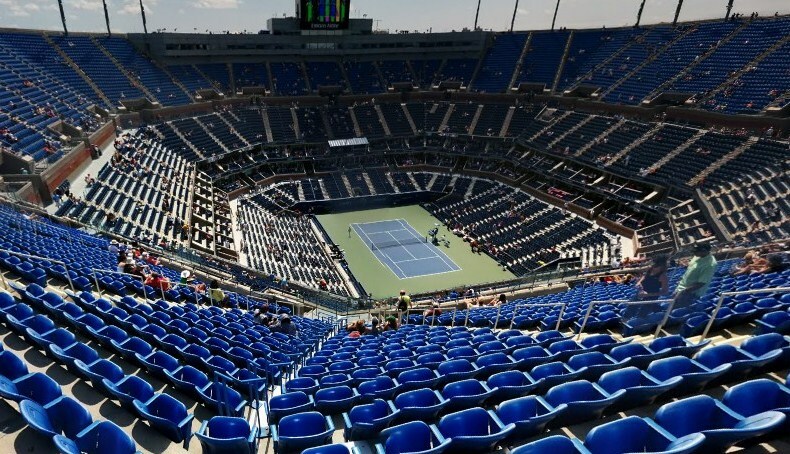 Ticket packages for the weekend are on sale now on tennisfame.com/enshrinement with individual Induction Ceremony tickets going on sale on 1 February. Additionally, the Class of 2019 will be celebrated in a tribute exhibit in the museum at the International Tennis Hall of Fame, chronicling their lives and careers, which will open in June and be displayed for one year.